England laid some ghosts to rest in Cardiff with a 38-run win in Cardiff, the venue where their Champions Trophy campaign had ended last summer. If they had concerns about a sluggish pitch it didn't show as they amassed 342. Jason Roy's 120 put them on course for something monstrous and then Jos Buttler, captain in the absence of Eoin Morgan, did the rest. He blitzed 71 from 70 balls. But given that England have been profligate in the field, the game could hardly be said to be done and dusted. There may be some disappointment in the England camp that after reducing Australia to 164 for five in the 31st over, it got as close as it did. But Liam Plunkett and Adil Rashid held their nerve to take key wickets. Plunkett grabbed four and Rashid three. Despite the quick turnaround, Morgan is expected to be fit for a return. A last-minute back spasm should have sorted itself out. Australia are now ranked in their lowest position for 34 years. They have lost 13 of their last 15 ODIs and this would have been one of the more chastening. They had a terrific opportunity to halt the sequence. With England minus their captain and a toss bias in their favour, Australia should have been bang in the game. But, in truth, until Shaun Marsh and Ashton Agar came together for a strong sixth-wicket showing they didn't really have a sniff. They may well argue that had Aaron Finch, their anchor, batted for 20 minutes or so that they would have won. Fine margins and all that. But Finch was out for a duck. There were other notable under-achievements. D'Arcy Short, on debut, looked like a rabbit in the headlights. A thruster in the Big Bash his strike rate of 63 was not what was required. Gone are the days it seems when Aussie batsmen come in against England and immediately look at home. Here are the last 11 first-innings scores (1-2 denotes game won by side batting first or second) in completed day-night ODI at Trent Bridge: 444-1/286-tied/349-2/287-1/182-2/174-2/250-2/296-1/299-2/83-2/235-2. The average is 262 which makes the last innings score something of an outlier. Last summer the England-West Indies contest was washed out. England are [1.6] and Australia [2.6]. It is not our business to be telling you a [1.6] chance is a bet. What would be the point? Anyone who can see or hear knows that England have a superiority which Australia are struggling to challenge. shot. There is a toss another bowl first trend under lights with seven of the last 11 won by the chaser. So, very simply, a bet on Australia cannot be countenanced unless they bowl first. England in a chase would be a good bet, particularly if we could get around [1.8] with a decent Aussie batting show. Jason Roy is 7/2 with Betfair Sportsbook for a top-bat repeat. But he has a poor record at Trent Bridge with 56 runs in three innings. 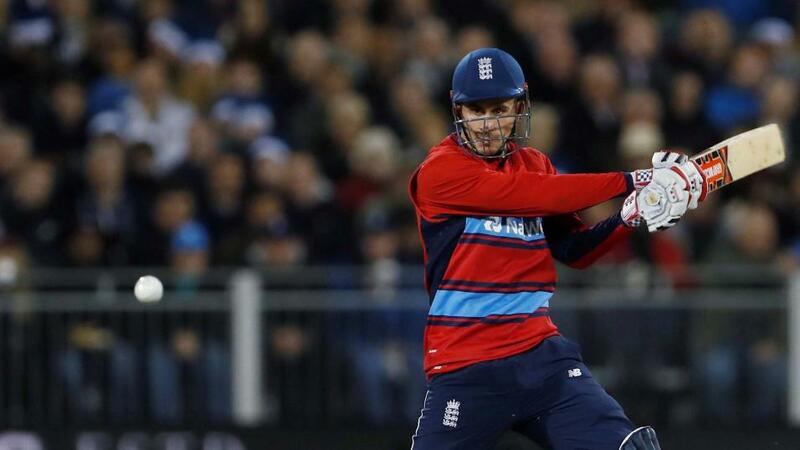 Top of the charts in the last five years is Alex Hales on his home ground. He has 294 runs at 73. Sportsbook rate him a 4/1 chance. He was oddly sluggish in Cardiff, though. Joe Root, who looks overdue for a score, is the same price. He averages 65. Buttler is 11/2 from 10/1 from Cardiff. Value has gone, then. Marsh's century on a ground he knew well at Cardiff was not altogether unsurprising following his stint with Glamorgan. But it makes him a fair bet at 7/2 with Sportsbook. Finch and Travis Head are shorter than him at 3/1 and 7/2 respectively.